Easter Popcorn, often called Bunny Bait, is the perfect sweet and salty treat to make with the kids this holiday season! Covered in delicious colored chocolate, I am going to teach you a never burn way to create popcorn for all your holiday seasons. Personally, popcorn is my favorite snack!!! I could say it is my favorite food. Add chocolate to it, and I am in heaven! Just look at this Easter Popcorn…tempting, right? Want a pro trick? 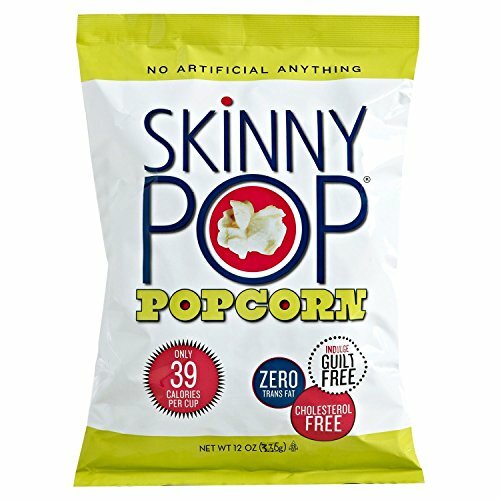 Save a few calories while enjoying this treat order Skinny Pop Popcorn . This is the popcorn I eat at home all the time. It is an all natural popcorn made with sunflower oil and salt with no artificial colors, flavors, or preservatives and is Non-GMO! This also makes creating this Easter Popcorn Recipe super easy as you do not have to worry about popping the popcorn first. It comes perfect! I know how busy the holiday season is, so grabbing these on Amazon is super easy and will save you a trip. I find the supplies at the store for this holiday really start to dwindle down and these are my favorite for really colorful popcorn. Plus they double for Mothers Day, Spring Popcorn and even Valentines Day Popcorn. 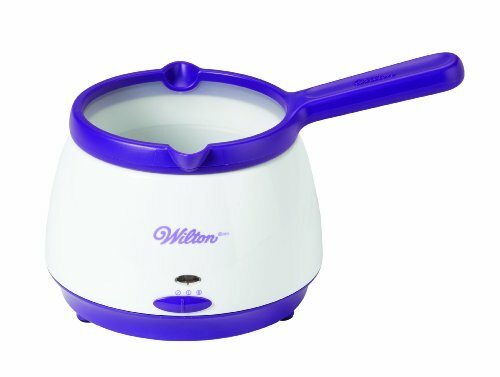 You are going to want to order the Wilton Candy Melter. This makes it so EASY to melt the chocolates you want to use!! I have always had issues with melting the chocolates in the microwave. I burn them, they cool down too fast, or I just get frustrated and say forget it! 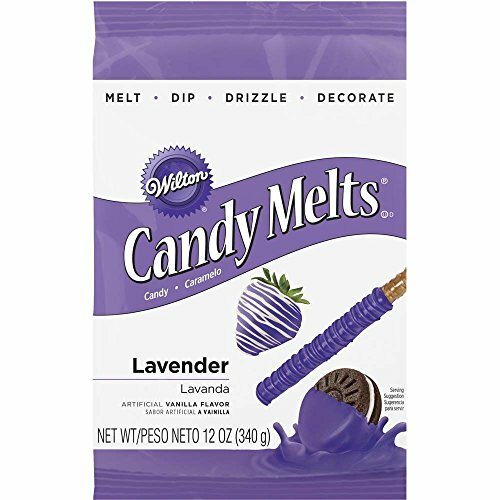 Follow the directions on the Wilton Chocolate Melting Pot to melt your candy melts. – It’s super easy!! You add in your candy melts, turn to the double line setting for five minutes while the chocolate melts. Then once the candy is melted, switch to the single line setting. Lay the popcorn on wax paper. You can lift the insert for the melting pot and pour or use a spoon to drizzle the chocolate on the popcorn. Add your sprinkles while the chocolate is still warm. Place in the freezer for about 5 minutes to allow chocolate to set. 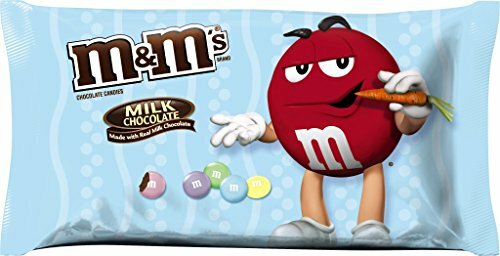 Then, add M&Ms. The best part about making this treat is YOU CAN NOT MESS IT UP! Add sprinkles, candy, different color melts, whatever! It’s candy, chocolate, and popcorn….you are not going to mess it up! 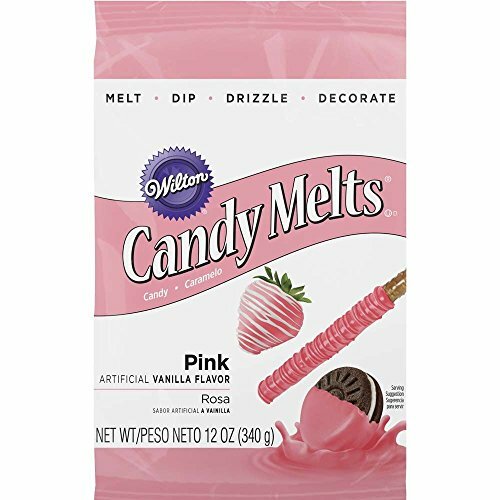 Follow the directions on the Wilton Chocolate Melting Pot to melt your candy melts. - It's super easy!! You add in your candy melts, turn to the double line setting for five minutes while the chocolate melts. Then once the candy is melted, switch to the single line setting. The best part about making this treat is YOU CAN NOT MESS IT UP! 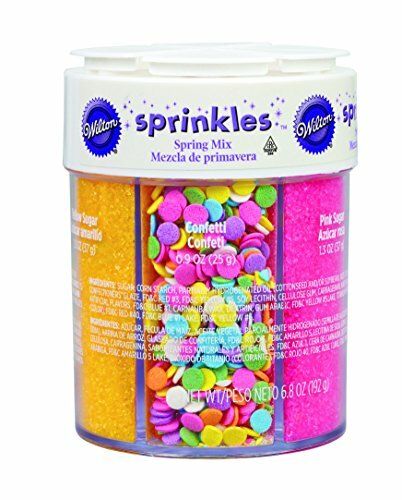 Add sprinkles, candy, different color melts, whatever! It's candy, chocolate, and popcorn....you are not going to mess it up! You can also make Easter Bunny Chocolate Popcorn! Same idea really, just use fillable eggs.